The recent signing of Clay Buchholz has triggered memories of traumatic scrap-heap pitching signings of Blue Jays past. These are the most memorable. Last week it was announced that the Toronto Blue Jays signed Clay Buchholz to a major league deal worth about $3 million. Many were surprised at the signing. For one, it takes a starting rotation spot away from an up-and-coming Blue Jays pitching prospect in the midst of a rebuilding phase. Secondly, Buchholz had a stellar comeback season in 2018. After forearm surgery in 2017, Buchholz was released outright by the Kansas City Royals before signing with the Arizona Diamondbacks. For the D-Backs, Buchholz went 7-2 with a 2.01 ERA in 98.1 innings. This translates to a 3.0 WAR according to Baseball Reference, and if you believe that the going rate for a single unit of WAR is worth approximately $8 million, then the Blue Jays saved $21 million with the signing of Buchholz (if he were to replicate those numbers in 2019). It seems strange that Buchholz would choose to sign with a rebuilding club for well below market value, all while playing those high Canadian taxes. The other 29 MLB teams didn’t see fit to offer Buchholz a few dollars more. I wonder why? 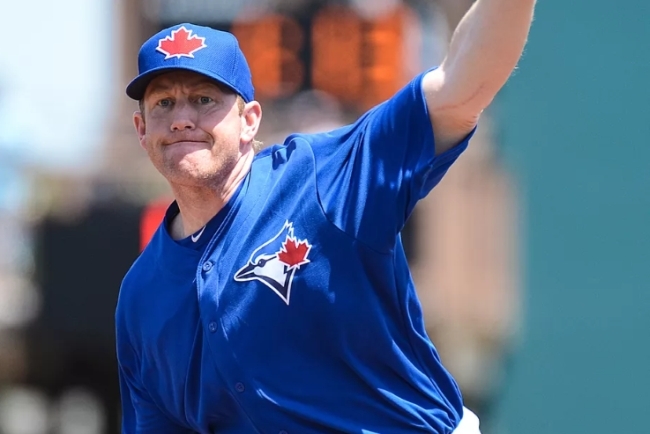 The strategy of adding scrap-heap arms at spring training is a well-worn strategy used by the Blue Jays for the past 20+ years. While it may seem like a great idea at the time, the track record of similar transactions is not so stellar for the Jays. Below are a few of the more notable patchwork signings meant to give the starting rotation a boost. Spoiler alert: most of them didn’t work out. 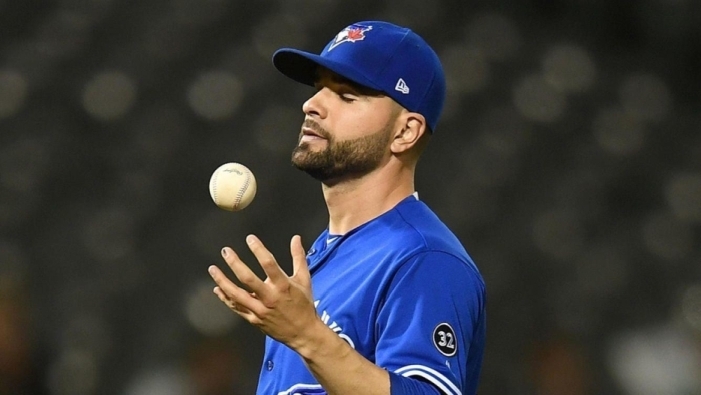 February 15, 2018 was the day the Toronto Blue Jays signed LHP Jaime Garcia to be their fifth starter at a total cost of $10 million. He made 13 starts before getting turfed due to shoulder injuries and overall ineffectiveness. Garcia pitched like a replacement-level player and retired at the conclusion of the season. Not surprisingly, Wilner’s premonitions turned out to be false. 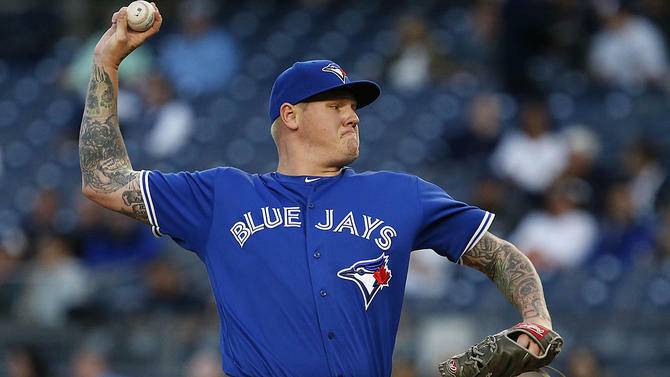 Latos was called up April 21 and pitched just the way he did during the spring over the course of three starts. He allowed 19 hits (five of which were ding-dongs) and walked 8 over 15 innings and then took his talents to the Atlantic League. Like Garcia, Latos is also retired. 2016 was a great year for the dumpster dive. The Blue Jays were able to scavenge three arms from the scrap heap: Brad Penny, Gavin Floyd, and Roberto Hernandez – the pitcher formerly known as Fausto Carmona. 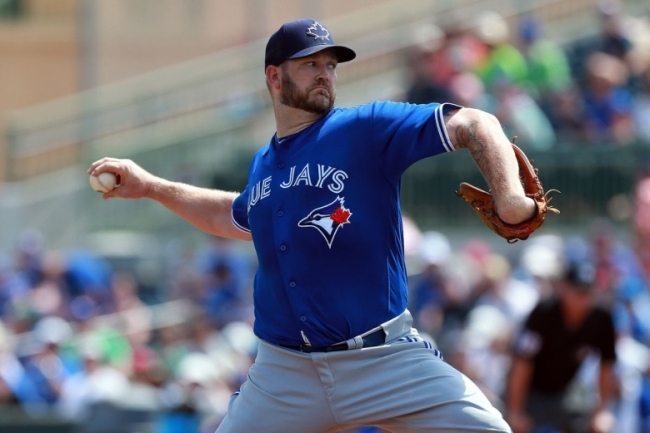 Brad Penny was signed to a minor league deal with an invite to spring training. Once in Dunedin, he got rocked. He retired during a March 18th spring training game in which he was getting absolutely annihilated. Gavin Floyd, on the other hand, pitched a stellar 14 innings with an ERA under two during his spring training stint. He broke with the big league team and pitched a serviceable 33 innings before landing on the disabled list with tightness in his throwing shoulder. He hasn’t pitched since. Another former all-star, Roberto Hernandez signed a minor league deal with the Blue Jays at the age of 35… but he could have been 45 for all we know. Hernandez pitched well over the course of the spring, but opted out of his deal when told he wouldn’t crack the opening day five-man rotation. Hernandez pitched nine innnings for Atlanta and has been out of baseball ever since. 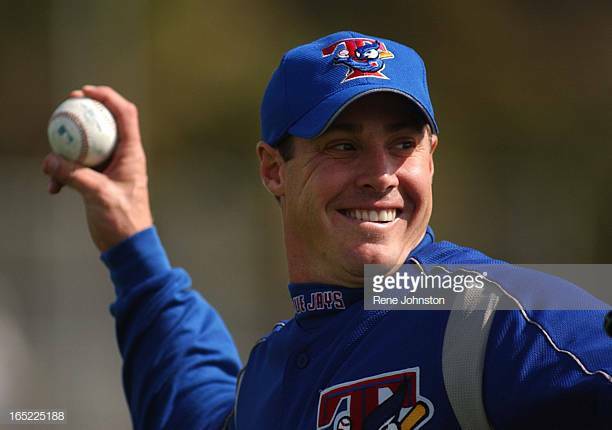 In 2015, the Toronto Blue Jays tried to corner the market on soft-tossing lefties with the signings of Randy Wolf and Jeff Francis. Wolf was shelled in 2.2IP and was promptly sent to the minor leagues, never to return. Jeff Francis didn’t fare much better, but landed a bullpen job thanks to the fact he throws with his left arm. He lasted 22 innings before ending his career. 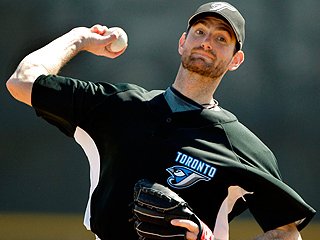 The Blue Jays signed former all-star Matt Clement and former 21-game loser Mike Maroth. Clement hadn’t pitched since 2006, Maroth since 2007. Clement walked 12 over 10 innings and Maroth put up a 3.75 WHIP at spring training. Both were released before the regular season, both never pitched again. 2007 was a banner year for rummaging through the trash bin. In what amounted to then-Blue Jays GM JP Ricciardi’s signature move of his young career, the Blue Jays signed a triumvirate of bounceback pitching candidates: Tomo Ohka, John Thomson, and Victor Zambrano. These so-called “bargain basement arms” were the result of Ricciardi being spurned by then-prized free agent Gil Meche. John Thomson wasn’t able to make it through the spring due to injury, and then promptly retired after a 10-inning stint with Kansas City. Ohka and Zambrano, however, both posted sub-2.50 ERAs in the spring. Two out of three ain’t bad! Sadly, spring results don’t always translate to major league success. Zambrano pitched 10 innings at the big league level and allowed five home runs before calling it quits. Ohka made 10 starts with a 5.79 ERA before being DFA’d. He ended up throwing a knuckleball in Mexico. In 2003, Pat Hentgen had a stellar second half of the season for the Baltimore Orioles. Over the course of 87 innings, Hentgen held opponents to a .216 batting average while posting a whip of 1.10. Blue Jay GM and part-time vulture JP Ricciardi swooped in to make Hentgen the team’s 5th starter in 2004. While it was a wonderful farewell tour, Hentgen failed to live up to the expectations set by the second half of his 2003 season. One scout described Hentgen has having “double-A stuff.” Hentgen struggled to miss bats: he was only able to strike out 33 over 80 innings pitched. While his 2-9 record and near-7.00 ERA are a blemish on his record, Hentgen added value by mentoring future Hall-of-Famer Roy Halladay. The scrap-heap arm that all other scrap-heap arms should be measured against. Tanyon Sturtze – JP Ricciardi’s first free agent signing – came off a season in which he posted four wins and 18 losses for the Tampa Bay Rays. However, Sturtze did pitch 224 innings. At the time, Ricciardi was fond of saying that you have to be a pretty good pitcher to stay in enough games to lose 18 of them. Sturtze was signed to be that innings-eating pitcher, but it was not to be. While he nearly doubled his previous season’s win total (in only 8 starts! ), Sturtze was only able to post 89.1 innings of slighty-below replacement level baseball. 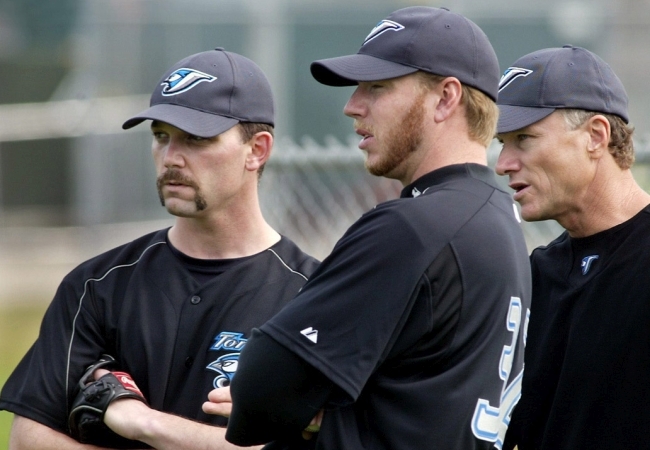 If you’re feeling bad about the 2019 iteration of the Toronto Blue Jays, have a look back at that 2003 roster. You won’t find another 86-win team with such a weak starting pitching staff two through five. 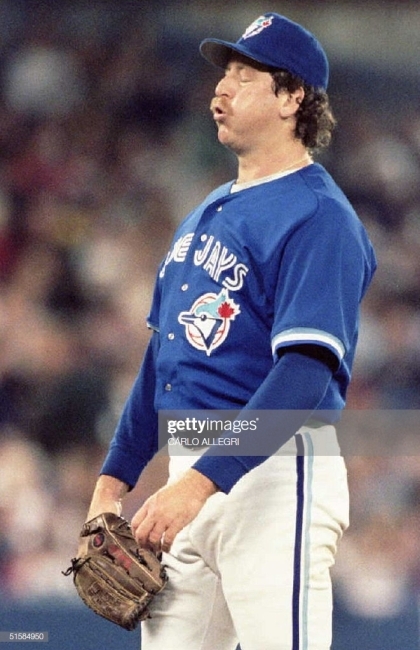 In 1996, then-Blue Jays GM signed three-time all-star and Cy Young award winner Frank Viola to a minor league deal. Having pitched a combined 45 innings the previous two seasons, expectations were not high. And yet Viola failed to meet those low expectations. Over six starts, Viola posted a 7.71 ERA with a 2.11 WHIP in 30.1 innings pitched. In his final start, Viola walked six, allowed five hits (two of which were homers) and allowed four earned runs. This lowered his ERA from 8.03 to 7.71. Viola retired as a Blue Jay. While Clay Buchholz doesn’t necessarily deserve to be included in the list above at face value, time will tell what sort of impact he will have on this Blue Jays team. On the surface, it doesn’t make sense to sign a veteran pitcher to take reps away from the prospects. In practice, if Buchholz performs at a level approaching his 2018 season, the Blue Jays will be able to trade him to a contender for another prospect or two to strengthen the farm system. If he flames out, it’s a $3 million rounding error on Rogers’ annual report. At the very least, maybe he can show some of the young kids how to throw this filthy sinker on the black. Did I miss any notable scrap heap arms? Which ones are your favourite? Let us know in the comments section below. I recall the corpse of Danny Darwin “contributing” to a pretty uninspiring time in Blue Jay land. Good one! What a tremendously awful statline he put up in 1995.